Glossary of Guitar Terms is an informative addition to any musician's library. Included are a rundown of the parts of the instrument, a variety of helpful diagrams, and some of the most important terms and concepts for guitarists to be familiar with. 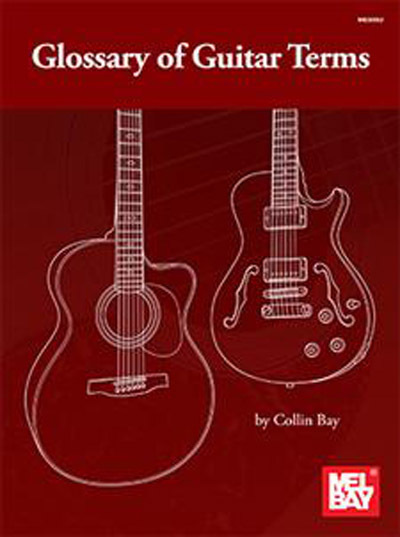 Glossary of Guitar Terms is an excellent reference tool for players of all levels. Publisher: Mel Bay Publications, Inc. Guitar Chord Blank Stamp GCB-2, 1" x 3/4"